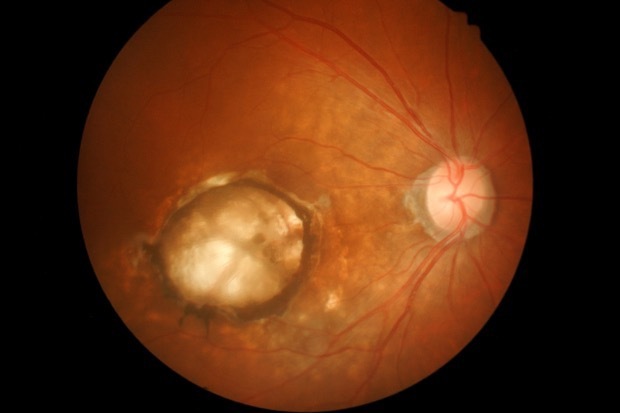 "Can Metformin, used to treat Diabetes, slow the progression of geographic atrophy in patients with age-related macular eye degeneration?" The purpose of this study is to evaluate the safety and efficacy of taking the oral drug metformin to slow the progression of GA, compared to the current standard of care which is no treatment. In this study, you will either be asked to take metformin twice daily or you will not take this drug and we will simply observe the progression of your GA as we would normally. Metformin is not FDA approved for this indication. Metformin is an FDA approved drug for the treatment of type 2 diabetes. If you are in the group that receives the study drug and it proves to slow the progression of your AMD, you may benefit from participating in the study, but this cannot be guaranteed. You may have side effects while on the study. Everyone taking part in the study will be watched carefully for any side effects. However, doctors don't know all the side effects that may happen. Side effects may be mild or very serious. Many side effects go away soon after you stop taking the drug. In some cases, side effects can be serious, long lasting, or may never go away. taken, but this generally decreases or goes away within the first few weeks of taking the drug, as your body adjusts. This is why the dosage prescribed is smaller during the first few weeks of the study. You should talk to your study doctor about any side effects you experience while taking part in the study. other study treatment(s) or other available treatments. from the needle stick, bruising, infection, and fainting. change your mind about participating in the study. There is no compensation for participating in this study. The drug and costs of all visits, treatments and tests will be billed to insurance or to the patient directly as they are considered standard of care.